Real Cost of Financial Planning * Dreggors, Rigsby & Teal, P.A. What's the real cost of financial planning? In partnership with clients, we work toward their long-term goals within customized plans that add value to our clients’ investments. 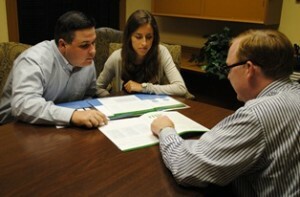 Do you know how your investment advisor determines his or her fees? Educate yourself. For our part, Dreggors, Rigsby & Teal offers personalized investment options for corporate, retirement plan and individual investors. How do we determine fees? We’re glad you asked. Your portfolio growth is affected by selecting the right investments to meet your needs as well the fees charged to you. When evaluating investment managers, you should compare fees, level of service, expertise in financial planning and tax planning, and comfort with your financial advisor knowing that they have your best interest in mind. Investment managers typically quote a fee as a percentage of assets managed. Dreggors, Rigsby & Teal, P.A. (DRT) charges 1.5% of the assets managed annually. What do investment management fees include? Investment management fees include advisor fees, mutual fund expense ratios, investment loads, transaction fees, and 12b-1 fees. Advisor fees are paid to compensate the investment advisor for financial planning, selecting proper investments, evaluating client investment needs, monitoring account performance, performing account rebalancing, responding to questions, and providing other services to the account owner. DRT charges advisor fees of 1.5% (150 basis points) annually. How do mutual funds play into investments? As part of a portfolio, managers often invest a portion of your assets in mutual funds. Mutual funds take your money, combine it with other investors with similar goals, and manage the pot of money based on a stated set of criteria. These funds can be index funds that invest in companies that make up an index (such as the S&P 500 index), sector funds that invest in companies relating to a particular sector (such as health care), or funds that follow a specific niche (such as small companies, floating rate bonds, etc.). Because your hired investment manager has no control over how the mutual fund invests for the group, the mutual fund charges a fee (taken out of the money that they invest) for that manager to manage the fund. At DRT, our philosophy is to invest your core portfolio in individual large company stocks (to avoid mutual fund expense ratios completely on this portion of your investments) and then fill in your portfolio with mutual funds to provide greater diversification (in areas such as smaller company stocks, bonds, and sectors with perceived greater growth potential). With the bulk our your portfolio in individual stocks, your mutual fund expense ratio fees are kept at a minimum. We typically invest in mutual funds offered by either Vanguard or Fidelity. What action should you take next? To learn more about these, plus investment loads (charges that are charged either when a mutual fund is purchased or when it is sold; DRT does not invest in mutual funds that charge this), transaction fees (fees per trade), and 12b-1 Fees (fees are fees charged by mutual fund companies; DRT does not invest in any that charge 12b-1 fees), call us at (386) 734-9441 or email info@drtcpa.com. We will discuss your needs, prepare a sample portfolio, and provide you with the individual investment fees for each investment in your proposed portfolio.